Intel Core i5-8400: should I buy this processor? 09/11/2018 por Fernando G. R.
For most people, the best processors are going to be the ones that pack in a good deal of performance while keeping the price low. While they sound good in practice, most people don’t need an 8-core, 16-thread Intel Core i9-9900K. Instead, most people will get more than enough out of something like the Intel Core i5-8400. Now, while this processor won’t be able to absolutely plow through extremely processor-intensive tasks, like 4K media creation, it’s going to be reliable for anyone that just wants an affordable CPU for the best PC games. At just $199 (£229, AU$329), the Intel Core i5-8400 is one of the best bang-for-your-buck processors you can buy today. You’re going to be able to handle most everyday desktop tasks, while still having enough horsepower to do the occasional video editing or Photoshop work. We promise, this processor is going to be one to look out for on Black Friday and Cyber Monday. The Intel Core i5-8400 is a hexa-core processor without hyper-threading, with a base clock speed of 2.8GHz and can boost up to 4.0GHz. The lack of hyper-threading might sound bad, but most people will never really need more than six threads for day-to-day use, anyways. And, while the i5-8400 isn’t unlocked, it still can’t be overclocked, so this means there’s no reason to go with an expensive motherboard. Instead, you can save a ton of money by buying a H370, or even a B360, board that lacks some high-end features and overclocking functionality, but makes up for it with a lower price tag. 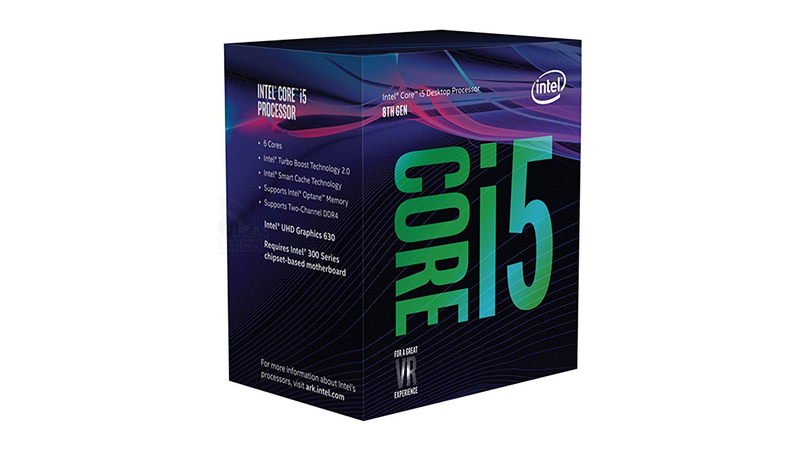 This makes the Intel Core i5-8400 a great processor for anyone looking to build one of the best gaming PCs on a budget. The Intel Core i5-8400 might seem super affordable at just $199 (£229, AU$329), but it’s not without competition. AMD is in a much better space than it was a few years ago, and with Ryzen processors, like the Ryzen 5 2600, at just $159 (£169, AU$259) with six cores and 12 threads, the value doesn’t seem quite as good. However, one thing to keep in mind here is just what you’re going to use your prospective system for. If you’re trying to build a respectable gaming PC, you’re going to want to go with the Intel Core i5-8400, as Intel’s chips traditionally have better instructions per clock (or IPC). This translates directly into better single-threaded performance, which is exactly what you need for gaming. The Ryzen chip, though, will be better if you plan to do a lot of streaming. Still, we’re sure that there are going to be plenty of Black Friday PC component deals out there, and because the Intel Core i5-8400 is a last-gen chip, you’re going to be able to find a ton of deals out there. Source link: Intel Core i5-8400: should I buy this processor? The post Intel Core i5-8400: should I buy this processor? appeared first on FGR* Blog. © Copyright 2019 FGR*. Developed by Fernando G. R.